Founded in 1995, TCV provides capital to growth-stage private and public companies in the technology industry. TCV has invested over $10 billion in leading technology companies and has helped guide CEOs through more than 100 IPOs and strategic acquisitions. TCV current and past investments include Airbnb, Altiris, AxiomSL, Dollar Shave Club, ExactTarget, Expedia, Facebook, Fandango, GoDaddy, Genesys Software, HomeAway, Merkle, Netflix, Payoneer, Redback Networks, Rent the Runway, Sitecore, Splunk, Spotify, VICE Media, WorldRemit, and Zillow. 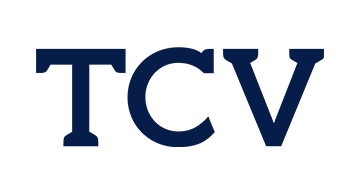 TCV is headquartered in Silicon Valley, with offices in New York and London. For more information about TCV, including a complete list of TCV investments, please visit http://www.tcv.com.